When promoting your business or product banners are a great way to get your message across. Large format banners can be produced in any size and quantity so there is no limit to the scale of your display. 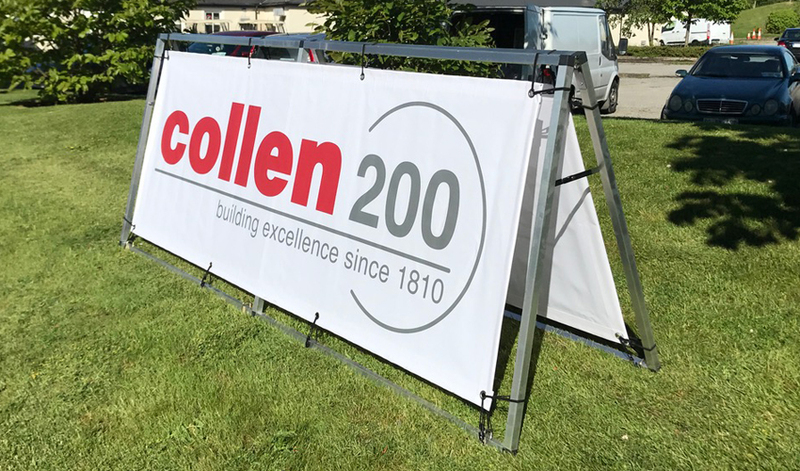 Large format banners can be used for building wraps, special events or exhibitions. Sections can be welded together to create banners of any size. Mesh banners are most commonly used for building wraps or on scaffolding and fencing. The mesh banner material has a perforated finish allowing the wind to pass through, it also allows you to see out from the back while displaying your image on the front.